By 2010, Kansas City’s underground infrastructure was faced with a challenge. 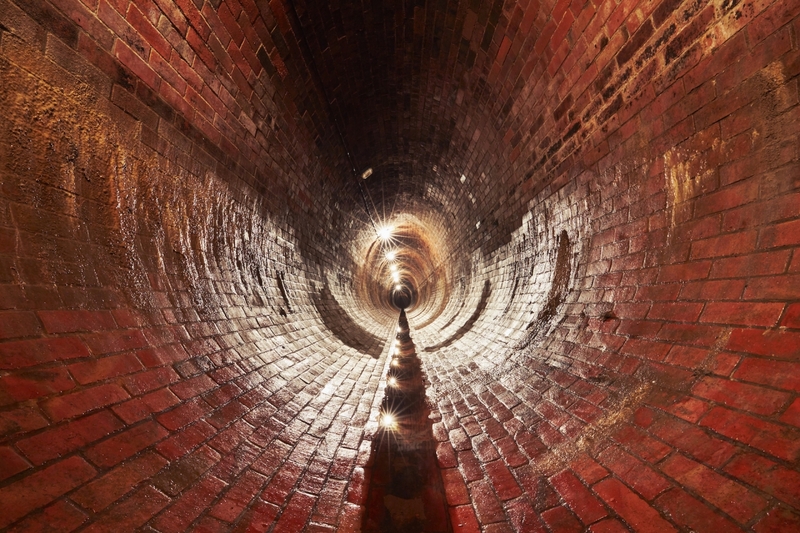 Its sewer systems were outdated—the 1,060 miles of pipe in the combined sewer system dated back to 1857, which, to put in perspective, is four years prior to the start of the Civil War. Kansas City’s Smart Sewer program is the largest infrastructure investment in the city’s history. The program employs a network of sensors—including sonar and radar technology—to accurately track real-time sewer overflows and optimize the use of its existing sewer system. Kansas City is among a handful of American cities like Cincinnati and South Bend that are responding to chronic problems with sewer overflows by adopting the latest in smart tech to access real-time data to direct wastewater to existing stations. The new method saves money and protects the major waterways. “This technology has changed the way wastewater runs its business and gives us as a city the ability to utilize our existing assets to the maximum extent possible without having to build new infrastructure,” says Andy Shively, PE, KCMO Special Assistant City Manager. The idea for smart sewer technology originated in Notre Dame’s College of Engineering, where professor Mike Lemmon and a team of electrical engineers designed a set of smart sensors that could be used to locate enemy soldiers in combat scenarios. Lemmon and his team soon discovered that the technology could also be used to monitor underground infrastructure. The city of South Bend, Indiana, where Notre Dame is based, had been dealing with costly overflows. The U.S. Environmental Protection Agency had ordered South Bend to control sewage overflow from entering the St. Joseph River. Luis Montestruque, then a graduate student who worked on Lemmon’s project at Notre Dame, realized that smart sensors could be placed on the 150 manholes located throughout South Bend to monitor the flow of wastewater in its sewer system. Montestruque eventually created EmNet, a company that uses this smart sensor technology to reduce and eliminate sewer overflow in large municipalities. In South Bend, EmNet’s smart sensor technology saved the city $1.5 million per year and reduced the combined sewer overflow (CSO) volume by nearly 1 billion gallons annually, per EmNet’s website. In Cincinnati, the city’s Smart Sewers system has reaped significant savings and even an accolade since its 2015 launch. The city was awarded the top prize in the national Best Waters Projects contest co-sponsored by Engaging Local Government Leaders (ELGL) and the Atlas Marketplace. “This system has revolutionized how we manage our collection system during rain events, or what we call ‘wet weather,’” said Jerry Wilkerson, Interim Director of the Metropolitan Sewer District of Greater Cincinnati (MSD). Like Kansas City, Cincinnati had agreed to a consent decree with the EPA, pledging to spend over $3.2 billion over the next 20 years to reduce sewer overflows. As infrastructure improvements can sometimes be long and expensive, the MSD realized that leveraging smart sensors in existing assets would “supercharge” its sewer system to take advantage of all available capacity before an overflow happens. For instance, in March, the Ohio River was above the National Weather Service’s flood levels, placing stress on the MSD’s main treatment plant and significantly limiting the conveyance capacity of its pipes that were closest to the river. With the Smart Sewer system in place, the MSD was able to follow conditions in real time and divert flow into a storage-treatment facility located 16 miles up-system, sparing millions of gallons of sewage from being released to the Mill Creek and Ohio River. The MSD’s Smart Sewer system has already kept over 400 million gallons of CSO out of its waterways each year. “As we continue to expand the system and learn more, we expect to be able to reduce the amount we have to spend on new infrastructure because we are maximizing what’s already in the ground,” Wilkerson said. Smart Sewer systems may also have the ability to identify potential health epidemics before they spread. The Massachusetts Institute of Technology (MIT) has launched its Underworlds prototype project, which uses smart technology to detect infectious diseases and predict potential outbreaks. In Shively’s mind, we are on the cusp of realizing the full potential of using smart technology to optimize a major city’s everyday operations. “I always say that a ‘smart city’ doesn’t start on the surface. It starts eight feet below the ground and goes up from there,” says Shively.